She went to see a doctor (GP) in a clinic and was prescribed migraine medication. It was not effective. On 4 August 2007, she suffered unbearable pain and vomited blood. A GP referred her to a private hospital. 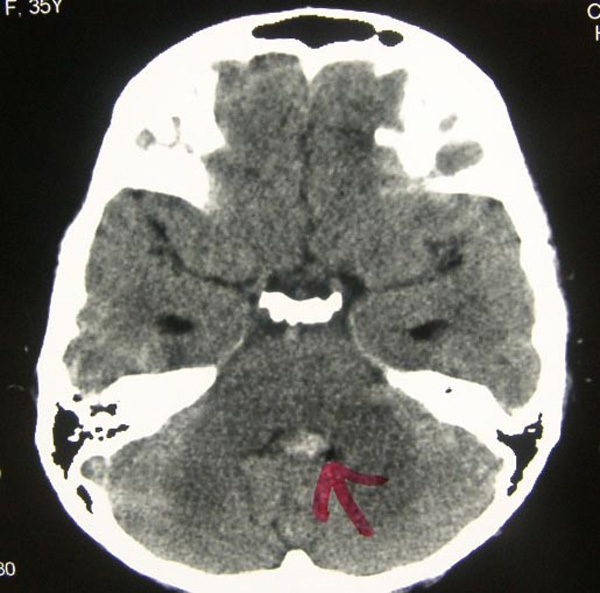 A brain CT scan done on 6 August 2007 showed a hyperdense focus in the posterior inferior aspect of the 4th ventricle. There was a moderate generalised hydrocephalus. Lee underwent a brain surgery on 10 August 2007. The histology report indicated a malignant primitive tumour found, consistent with a medulloblastoma. After the operation, Lee suffered hiccups and was well. Her two doctors gave Lee different opinions. According to the surgeon, she had to undergo radiotherapy immediately. However, the radiologist felt that Lee should wait for another two to three weeks to allow the wound to heal before starting with radiation treatment. There would be thirty sessions (possible additional of five) of radiation treatment and this would cost RM 6,000. Lee and her husband were told that the radiation treatment would not be able to cure her cancer. However, there was a 50% chance that the treatment would prolong her life. She must, however, proceed with the radiation treatment as soon as possible to ensure that the cancer did not recur. Lee’s husband came to seek our help on 19 August 2007. She was prescribed Capsule A, Brain 1 & 2 Teas and Brain Leaf + C-tea. Then on 16 September, Lee and her husband came to see us. The following are excerpts of our conversation on 16 September 2007. Husband: After the operation, everything can be said okay. Chris: Very good – do you have any headache? Lee: No headache. My appetite had improved. I did not lose any weight. Husband: The last time when I saw you, you told us it was up to us whether we wanted to do radiotherapy or not. So my wife decided to undergo the radiotherapy. She had started with the treatment and so far had received two treatments. We believed that your herbs would help but at the same time we believed that the Western medical technology would be able to cure the cancer faster. We are also aware that radiotherapy can kill both the bad and the good cells. We know that radiotherapy is going to cause some side effects and we hope that your herbs can help reduce these side effects. Chris: (Shaking head vigorously). If you say that my herbs are going to reduce or prevent the damage caused by radiotherapy, my answer is no. The herbs cannot protect you from the radiation damage. I have a church friend. He had undergone radiation treatment to his chest. Barely a year later, he died. People told me that he did not die because of his cancer (lymphoma?). He died because he suddenly was not able to breathe. I wondered if that was the side effect of the radiation he had earlier. His wife had a tumour in her brain, almost eleven years after her breast cancer. She underwent radiotherapy. The plan was for her to receive thirty treatments. After ten treatments she suffered severe lung infection and was reduced to a vegetable state. She died soon afterwards. How many radiation treatments does the oncologist want to give your wife? Husband: Thirty times, lasting five to six weeks. If the cancer is still there, she may be given another five treatments. The doctor told me: If your wife does not do the radiotherapy, I guarantee you that within four to six months the cancer will come back. The doctor did not say may be it comes back. He said the cancer will definitely come back. Since the doctor guaranteed that the cancer would come back and since you cannot guarantee that your herbs can prevent the cancer from coming back, we have no choice but to undergo radiotherapy. I have to believe what the doctor had told me, but I also want to trust you. Chris: It is okay and it is up to you. If you want to undergo radiotherapy, go ahead. I respect your decision. However, let me remind you that should your wife suffer any side effects or suffer any defects, please don’t blame the herbs. I am here trying by best to help you. My prediction is that radiotherapy may cause some damages. There are times when the damage could be worse than the cancer itself. How did you (to Lee) feel after receiving the two radiation treatments? Husband: I thought the side effects would only come after a week of treatment. Chris: I am afraid that after ten treatments (based on a friend’s experience above) she would not be able to take it anymore. Husband: Hopefully, this will not happen. The problem is the doctor will get angry with us if we were to stop the treatment. Chris: Well, you have to decide. Do you want to make your doctor happy or you want to make your wife happy. After this visit, we did not get to see the unfortunate couple again. A few months later, a friend informed us the Lee had passed away. On 24 March 2008, my wife, Im, called Lee’s husband to get an update of what had happened. Lee received thirty radiation treatments to her brain and twenty to her spinal cord. All treatments were completed on 22 November 2007. She did not suffer as much as expected, only a loss of appetite. Lee was actually on our Radio-Tea. 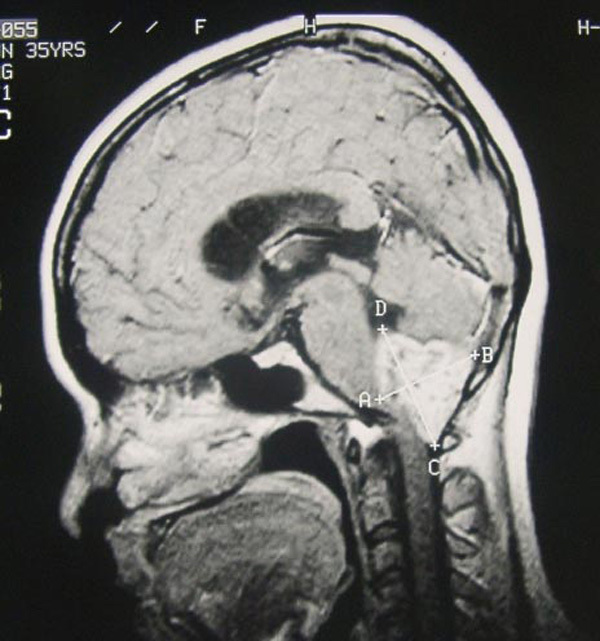 MRI of the brain done on 22 November 2007 showed everything was clear. On 8 January 2008, Lee started to have back pains and numbness of her hands. She went to see her doctor. At first the doctor wanted Lee to undergo chemotherapy so as to prolong her life. But this was never done because according to Lee’s husband the doctor said: I do not have the confidence that chemotherapy would work for her. This reply made Lee’s husband really angry with the doctor. On 21 January 2008, Lee died, six months and ten days after the operation of her brain. Before she died, Lee was unable to move her bowels. Her time ended when she was not able to breathe. Comments: Lee’s husband was a great believer of medical authority – to him what the doctors said was gospel truth and must be obeyed. Though he was warned of the danger of radiotherapy, he still insisted that Lee must undergo radiotherapy otherwise the cancer would come back very fast. That was what he was told and that was what he believed would happen. No, he discounted the fact that radiotherapy and surgery for that matter, could result in an earlier death of his dear wife. Many patients who came to see us were ignorant. In this case, Lee and her husband understood what they were in for. I have told them plainly and clearly the risks involved. They had made their informed decision. Sadly, the result was an early death. Perhaps it is worth repeating what Dr. Jeffrey Tobia, consultant cancer specialist at the University College London Hospital, wrote (in Living with Cancer, pg. 176): As far as cure is concerned, there is no use pretending that brain tumours are truly curable. Medical success with brain cancer is very rare.